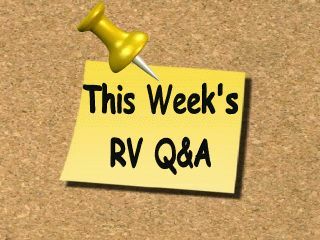 Share your thoughts & experiences with other RVers and Campers. 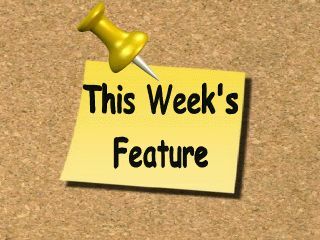 This week we are promoting a little fun and education at the same time. 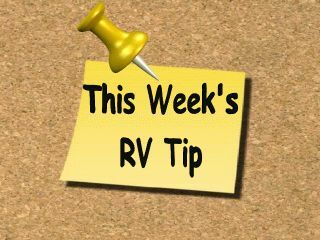 Go to our facebook page and post your RV tip. 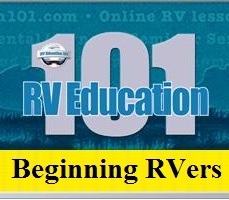 Have fun and learn from other RVers at the same time! The weather is warming up, the trees and flowers are in bloom and it's time for another great season of camping. 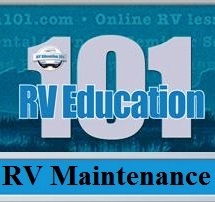 Each year about this time I like to talk about prepping your RV for another season. When your RV sits for months at a time it's not a good idea to just head out on an RV adventure without checking it out first. 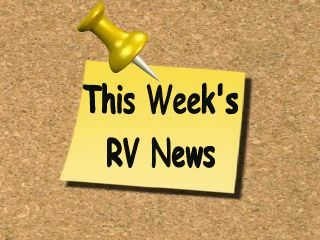 This week's feature article is basically a checklist that you can use to give your RV a good spring check-up. 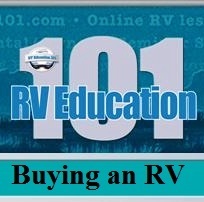 In other news, we have been working on an in-depth online RV training program, called 'Go for the RV Gold'. It is a 12 week RV training program. 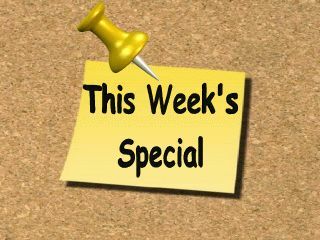 Each week the training is delivered directly to your e-mail address where you can learn in the comfort of your home or RV. 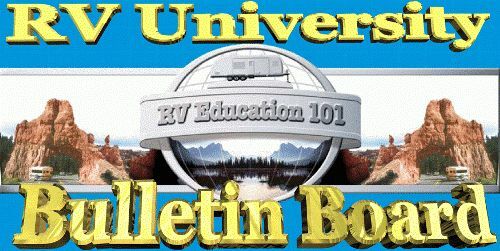 Members start in the Bronze RV training module for 4 weeks, advance to the Silver RV module for 4 weeks and finish in the RV Gold module for 4 weeks. The program is loaded with videos, articles, tips, crossword puzzles, quizzes, member discounts and much more. 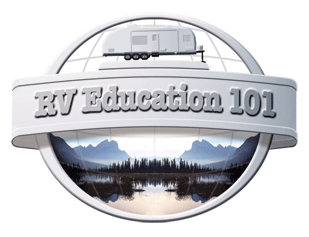 This is the only online RV training program that will teach you everything you need to know about your RV at such a reasonable cost. 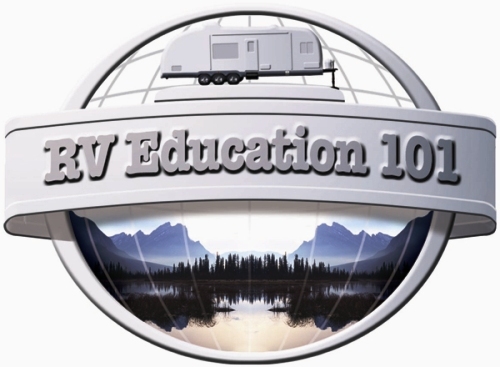 If you pass the final exam at the end of the 12 weeks, you will receive a Go for the RV Gold training certificate that you that you can proudly display in your home or RV. We are hoping to launch this new program in June. This new program will compliment our current line of training DVDs and books. I will keep you posted. Q. Last year we bought a motorhome and have enjoyed using it over this last year. 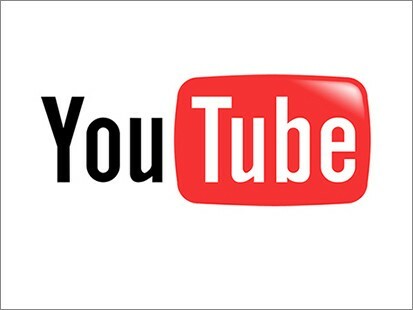 We are very new to RV'ing and have had it in several times for small warranty issues. We recently picked it up to travel to Sedona, AZ and the Grand Canyon. In Sedona, we hooked up to the 50 amp service and all appeared well. Late that evening, the furnace stopped working as there was no power in the batteries. That seemed strange to me as we were plugged in. In the morning we started the engine and charged things up and the electrical panel all seemed to be working. Over the next two nights it appears we were not getting electricity from outside the coach. The problem continued at the Grand Canyon. I do not know what is wrong. Upon returning home, it also appears that now the inverter is not working. We push the button to turn it on and nothing happens. It's difficult to say without seeing it. It could be a problem with switching between AC sources. Did the system work okay with the generator running? There are several methods for switching between shore power cord and the generator. Some units require you plug the cord into an outlet in a compartment, some use a manual transfer switch and some use an automatic transfer switch. If this switching mechanism is not working you may not be getting power inside the RV. Another thought is the RV converter. If there is a problem with the converter you are running the 12 volt devices off of the battery(s). When the battery(s) lose its charge things aren't working inside. There are different types of converters and there is always the possibility of electrical shock when working on or around the converter, so I recommend taking it back to the dealership to have it looked at. Thanks for your response...it is more than I received from my dealer! I finally had to bring the RV over to them and ask...they said it is probably the converter as you mentioned. Since it is still under warranty, they will be repairing it, whatever they find! Thanks again. I do appreciate it and your website. 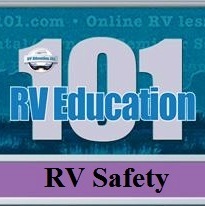 Mark's RV Quick Tip #1: Always wear gloves when working around the RV waste water system. 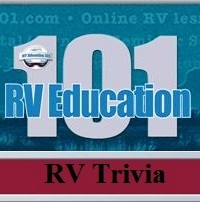 Mark's RV Quick Tip #2: Never let the gray or black water drain on the ground. Three E-Books in One! This e-book does NOT suggest what to pack. HOWEVER it DOES deal with HOW TO FIND SPACE for what you have on board. Informative tips, hints and ideas include Peggi's personal favourites. PLUS much-loved suggestions from those they met along the way. During Peggi & John's 20-years of Fulltiming, they have continually moved from place to place – Experience is a comprehensive teacher, but sometimes it comes with expensive price tags. With this e-book you can avoid their mistakes and the pricey invoice that accompanied most of them! Excerpt: "During a propane fill last winter, our rubber gasket on the horizontal tank-fill valve stayed on the propane nozzle of the truck that filled our tank. Without this gasket it was impossible to add propane into our tank. We didn't realize this gasket was missing until we tried to fill up with propane. Thankfully the missing rubber ring is available from most propane dealers; ours was replaced at no cost. Apparently it happens frequently - this was a first for us in 19-years." With this e-book purchase, Peggi will send you updates to your e-mail as she gets them.